As we launch Boundless Possible into the atmosphere and onto the global stage, there's never been a better time to live in the Territory. With a lifestyle unmatched anywhere else in Australia and the announcement of the Welcome to the Territory incentive, making the move to the Territory is an obvious choice. But making a change, even for the better, can seem downright scary or maybe even impossible! Well today we helped launch a rocket bearing the Territory's Boundless Possible livery to show you that anything is possible. When we launched Boundless Possible a few months ago, we talked about it capturing the potential of the Territory. You heard us talk about a diverse and multicultural way of life; the potential to break glass ceilings and grow your career. And a lifestyle where you can finish work and be home to watch the sunset. But when we talked about the possibility to build a space launch facility in Arnhem Land, I’m sure a few people were sceptical. And that’s not surprising. In the past, the Territory has been underestimated perhaps because we have undersold ourselves. That is the Territory of the past; in our Boundless Possible Territory, it is absolutely possible to build a space launch facility in Arnhem Land. Today we took the first step towards making that possibility a reality with the Black Sky Aerospace rocket launch in Queensland. 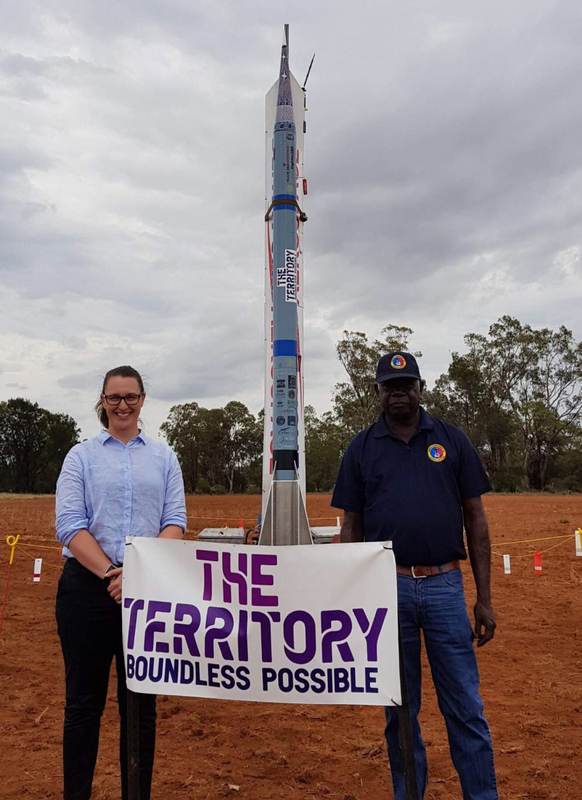 Through this partnership we hope not only to support the growth of Australia's space industry but also promote Arnhem Land as the location of Australia's first commercial space base. This amazing collaboration proves anything is possible; that the Territory really is Boundless Possible. "And achievements like this are no accident. It's precisely what our story talks about." And achievements like this are no accident. It's precisely what our story talks about. This is a place where thinking big is nothing new and where humility sees innovative thinking, simply referred to 'as getting things done'. It's that attitude shared by our collective of doers and creators that make all the great things we love about the Territory possible. It's the reason you can change your lifestyle, grow your career or start a business here. And be a part of the community and make a real impact. In the Territory, thinking big is nothing new. It's what we do. Even if that means launching a rocket with the Territory Boundless Possible into the atmosphere and on to the global stage.